Can I Nail Down Bamboo Flooring? 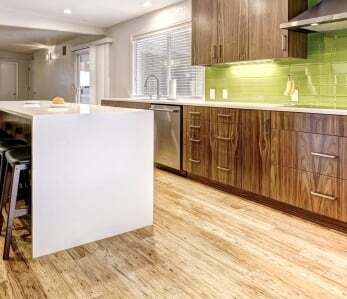 Home › Flooring › Nailing Down Bamboo Flooring? A Simple Guide. Nailing Down Bamboo Flooring? A Simple Guide. The answer is a definitive YES. In fact, thousands of people around the world nail down strand woven bamboo floors every day, in fact it’s the most common installation method. However, like with anything in life, you have to make sure you have the right tools. 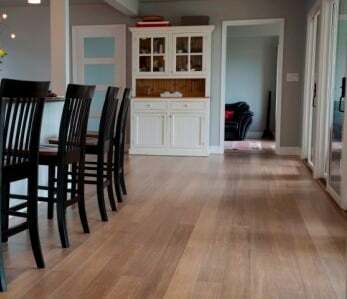 This topic is incredibly important, because a bamboo floor that is properly installed can easily last a lifetime, even under the heavy foot traffic that comes from having an active family and rambunctious pets. 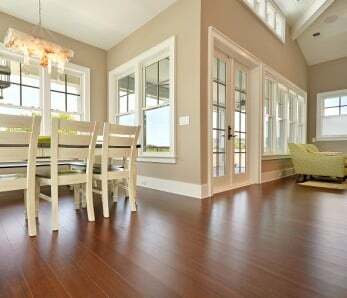 First of all, there are 3 common methods used to install hardwood and bamboo flooring: . 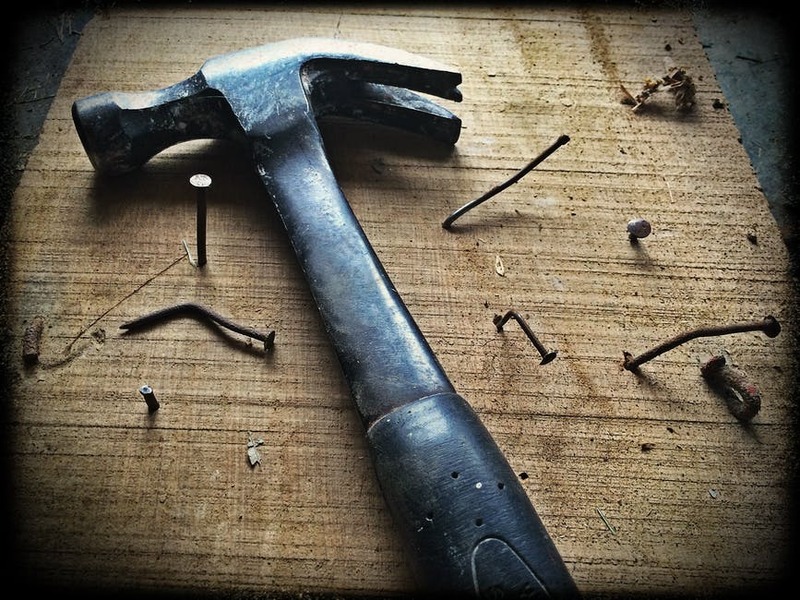 Each has its own pros and cons, but today, we’re going to look at the nail-down method. 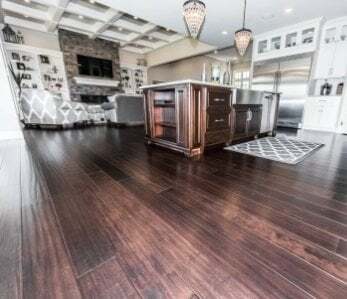 Please note: In this article, we’re going to focus on , which Janka tests show is the hardest wood flooring on the market, by far. Which installation method? Nail, glue or float? There are a few different factors that can affect your installation method. First, you need to consult the installation instructions of your bamboo flooring manufacturer as disobeying these could void your warranty. Gluing down the floor is the most stable installation because the elasticity of the glue allows the floors to expand and contract naturally with the seasons, and the glue provides some sound insulation. However gluing down is also the most expensive and messiest of the methods. Nailing down the floor is great when you have a plywood or suitable sub-floor (more on that below), and you want it done quickly and inexpensively. Nailing down is probably the most common way that hardwood flooring (including bamboo) is installed. The one drawback is that after 5-10 years of seasonal cycles, the cleats/nails can come loose and may squeak a little. 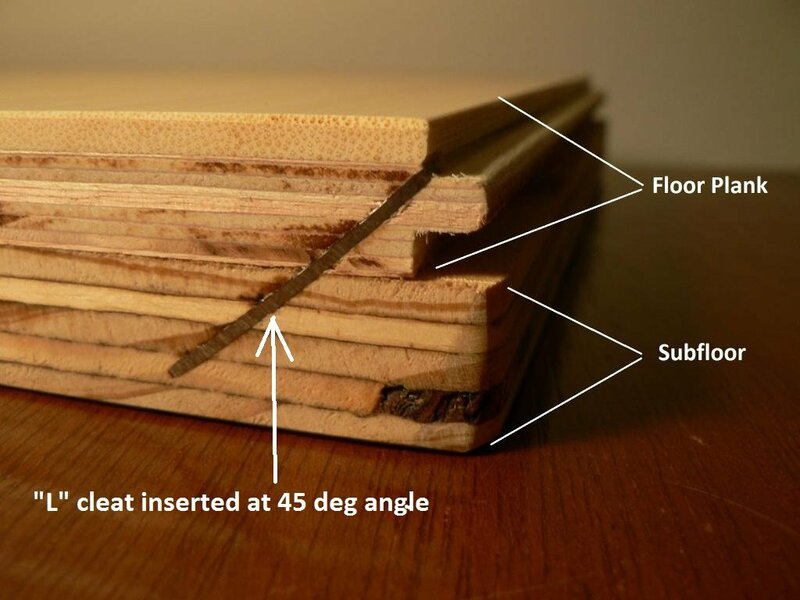 If you’re installing the floors in areas with long runs (generally over 30 feet long), then you should either nail down or glue down your floors. If the room has particularly heavy furniture, then you should either nail down or glue down the floors. Alternatively, you could also take the opportunity to get rid of the unwanted 1930s furniture that you inherited from your in-laws. If you’re installing the floors yourself, the floating method using click lock bamboo flooring is the easiest method for DIY-ers to tackle. If the sub-floor is concrete, then you won’t be able to nail down the floors, you’ll be required to glue down or float. Shockingly, putting nails into concrete is hard work. It’ll generally just leave you with busted nails, damaged flooring planks, and a sore wrist. So, how do I nail down a bamboo floor? First, plan ahead. It’s actually a really simple process, but it does involve some all-important prep-work and a little bit of patience. Let’s go through it step-by-step. There are a few things that you’ll need to go over before beginning, like checking whether your sub-floor is suitable for nailing (and it will actually hold the nails/cleats), and allowing the bamboo to acclimate to the room that it’s being installed in. Failure to acclimate a wood floor can cause problems right away or further down the line, like cupping due to humidity. Manufacturers don’t accept responsibility for these mistakes and it could be quite a costly error for you. Order 7-10% more bamboo flooring that you measured for: This will account for cutting and waste. Check the warranty and installation guide: Does it say not to install in a basement? Or in an unconditioned room (i.e. garage)? Or over heated sub-floors? What are the acceptable sub-floor types? Abide by the warranty to protect your consumer rights. Inspect for shipping damage at time of receipt: although most manufacturers take the utmost care during selection and shipping, mistakes can happen. 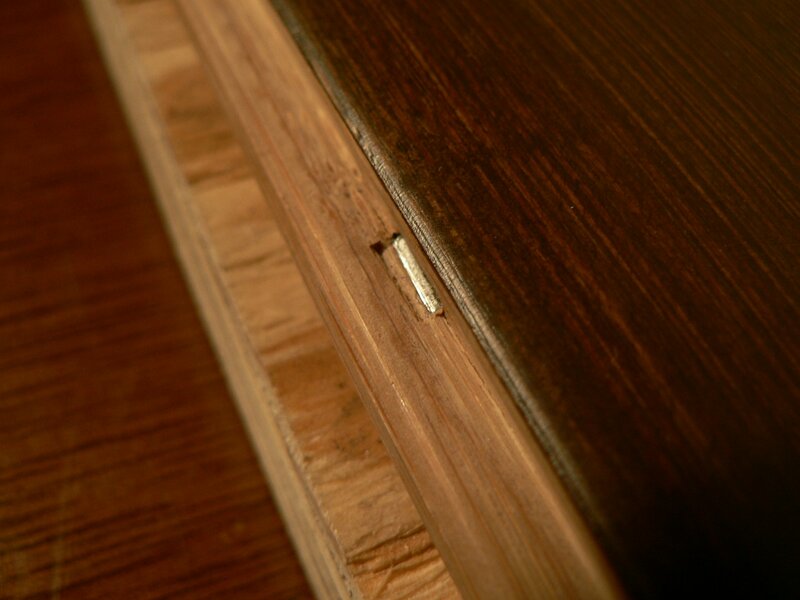 Avoid using any plank with visible defects, report it to the manufacturer, and check their returns policy carefully. 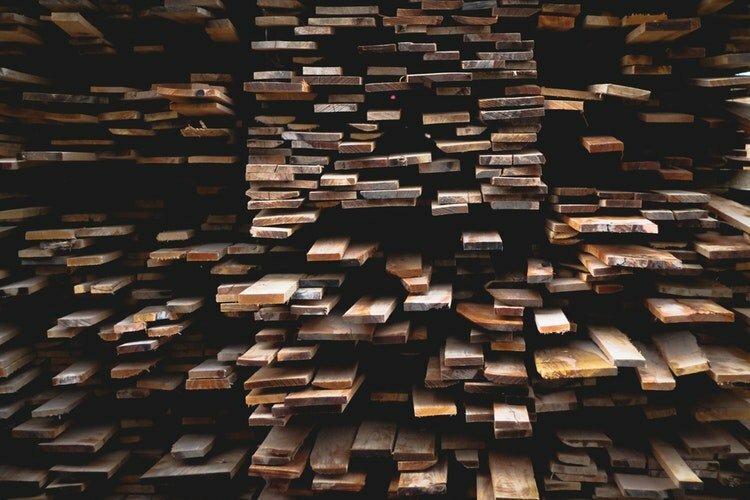 The shipping damage usually looks worse than it is, and most of the damaged planks can still be used for starter rows, so accept the shipment but make sure to record the damages on the driver’s bill of lading so that the shipper can send you free replacement materials. Set aside one plank to test your cleaning agents on: This will ensure that you don’t have planks with damaged finishes in the center of your living room, where your mother-in-law will be sure to comment on them. In some cases, it will be impossible to nail down a bamboo floor because of the existing sub-floor (i.e. concrete, vinyl tiles, particle board) or the placement of the sub-floor (i.e. below grade). If that is true for your sub-floor, then you’ll have to use another method, like gluing or floating. What sub-floors are good for nailing? Once you’ve established that you can nail down your bamboo flooring, it’s time to prep your sub-floor. How do I prep a sub-floor for installation of a bamboo floor? Clear the room: This means removing all furniture – because you can’t install your floor around a couch – but it’s also a good idea to remove things like hanging pictures and curtains to keep everything as clean as possible. Clean the room: Sweep the sub-floor to remove all dirt and debris (i.e. dust, crumbs, broken accessories from your child’s dolls or action figures) because you don’t want that getting stuck under the floorboards. Make sure the floor is dry: If the sub-floor is emitting moisture, this can can cause all sorts of problems from mildew growth to buckling boards. Test your sub-floor using a moisture meter and remember that the acceptable moisture content of a wood sub-floor is 12% or less. Make sure the floor is level: The floor grade should vary by no more than 3/16″ per 10-foot radius. You can sand down high spots and fill in low spots using a self-leveling compound or similar, as you can see in the video below. Whilst we’re on the subject of things that you need to do before installing your bamboo floors, let’s talk about . Do you have one? If so, you’re going to need to make sure it’s dry and well-ventilated before installing your floors. If you’re anything like us, you’re slightly scared of doing anything in your crawl space in case it turns out there’s someone living in there. However, if you don’t remedy any moisture problems in your crawl space then you could be dealing with buckling boards in the future. So grab a trusted friend, a flashlight, and remember that the chances of running into someone else in your crawl space are fairly small unless you live in a horror film. 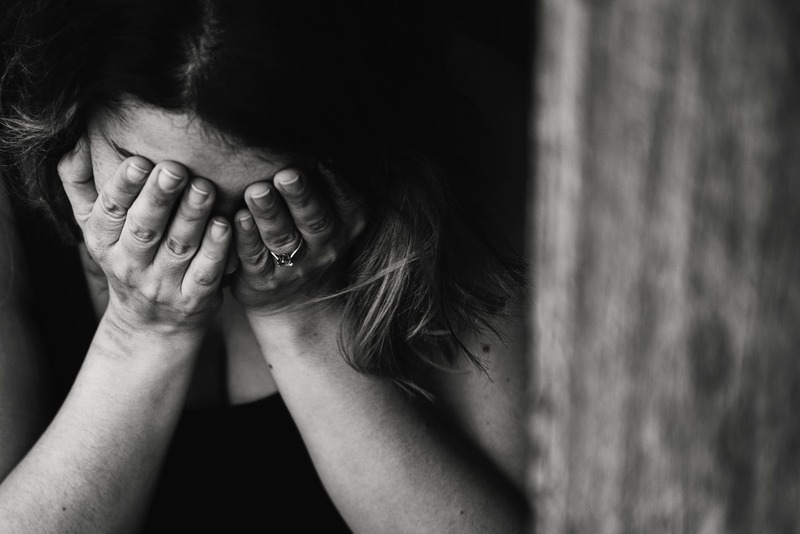 The most common method for dealing with a humid crawl space is to add vents, install tarps, install a dehumidifier, or use a large fan, which you can learn more about here. This person might have over ordered. In order to properly acclimate your , you will need to clear and clean the room that the floor will be installed in. Then, close all of the windows and doors to the room and cut open the boxes as per the installation guide. You’ll want to acclimate the floor for at least 3 full days, while keeping the temperature and humidity of the room to normal year-round levels. 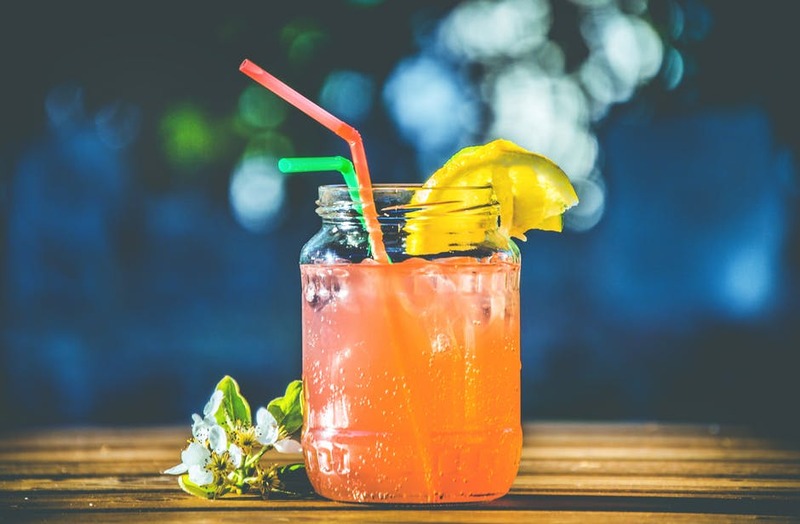 Most recommend a temperature of 60-80 degrees Fahrenheit and humidity of 40-60 %, but always check your specific guidelines. Important: Don’t cover the planks in paper or plastic or they could discolor and/or suffer from moisture problems. Also never acclimate the floors over concrete or an unsealed crawl space, as doing so could result in the floors absorbing excessive moisture and then cupping later. 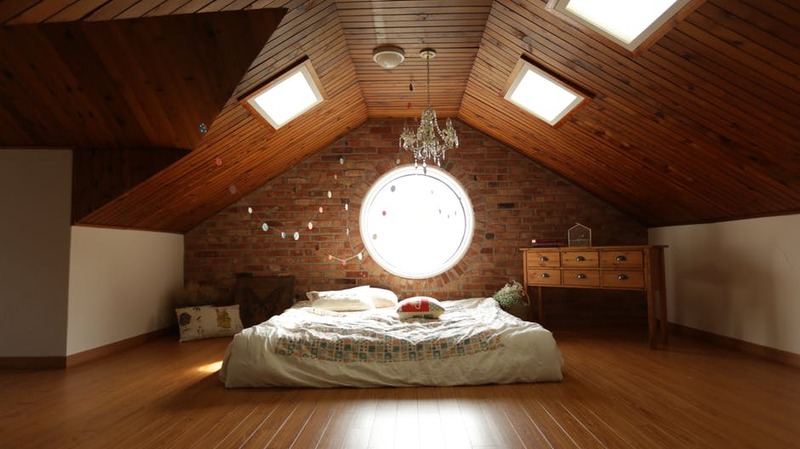 If this room is one that your family need to use regularly (i.e. bathroom or kitchen), why not leave the boards to acclimate while you take a vacation? You’ll be the family hero and you won’t have to eat take out or use the neighbor’s shower every night for a week. Win-Win. What tools will I need to nail down a bamboo floor? 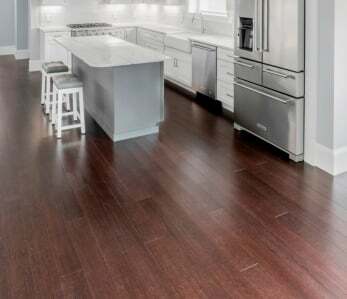 There are many tools that are helpful during the process of nailing down bamboo floors, but while some of them will need to be bought, others can be rented from big box stores or borrowed from kindly friends and family. After all, you need to save your money for that vacation you planned in the last section. High Powered 18 Gage Pneumatic Floor Nailer **We highly recommend the Primatech Q550 ALR. It’s sometimes hard to find so rent it from the same company you get your floors from if you can. After making sure your sub-floors are level and dry, acclimating your floor properly, and collecting your installation tools, you should first lay down 15 lb asphalt saturated felt paper or red rosin paper evenly across the sub-floor to ensure full coverage and no bumps from overlapping sections. After that, you should check that the is both clean and well-oiled to avoid any jams during installation, which could cause damage to the floorboards or you! Once you’ve made sure that the machine if ready-for-use, take a spare bamboo plank to test the pressure needed for installation, which will vary based on plank thickness and machine type. Too little pressure and the nails won’t go through the board, too much and they could split the board. You should always work out of 4-6 boxes to ensure you’re getting balanced color variation throughout the floor and don’t end up with any shade patches. As bamboo planks are a natural product, there will be color and shade variations from box to box and indeed, each plank, which means that you are able to fully customize your floor to your tastes. Think some planks are too dark? Leave them out. Same goes for light planks! When faced with any big job, it can feel overwhelming, which is why you need to break down the process into . Otherwise, you’re just as likely to put your head in your hands and give up! Don’t despair – everything will come together! 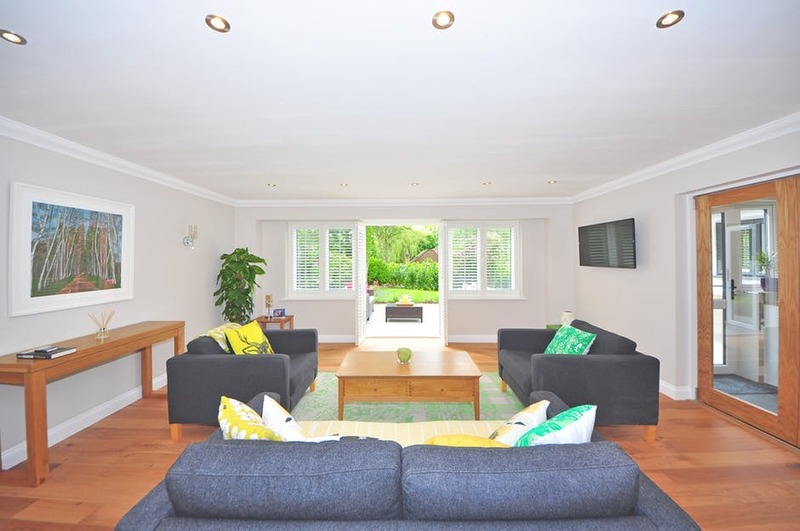 You are the only person who can decide the best place to start and it will depend on the room layout and how the flooring interconnects between the other rooms. If the room is square, you could start to install parallel to the longest wall, but if the room isn’t square, you may choose to in the middle of the room – which, yes, sounds counter-intuitive– to ensure that there is a straight line of flooring in a visible area. If the room is not square, the run of flooring planks can be broken and corrected at doorways using a t-molding. You need to leave between ¼ and ½ of an inch between the bamboo flooring planks and the base plate or wall, so that there is room for the boards to expand in the case of excess humidity. If you do not leave this space, then the boards could buckle/bow and a repair can be costly. Don’t worry about this gap being visible; it’ll be hidden by the shoe molding or baseboard. If your first row of planks isn’t properly in place, then this will cause all sorts of problems for you later on, because you won’t be able to lay succeeding rows in a straight line. How do you establish a straight line? Simply find the mid-point between the walls (make sure to include expansion space) and mark the line. You also need to nail the starting/finishing row through the tongue of the plank at a 45-degree angle. If you cannot do this, then you should either glue it with a urethane adhesive or pre-drill the hole and screw the nail in. Pro Tip: Use your sacrificial plank to test out your method and use wood putty to fill in nail holes. Once you’ve installed the first row, it’s a super simple process to install the others as you already have the guidelines. 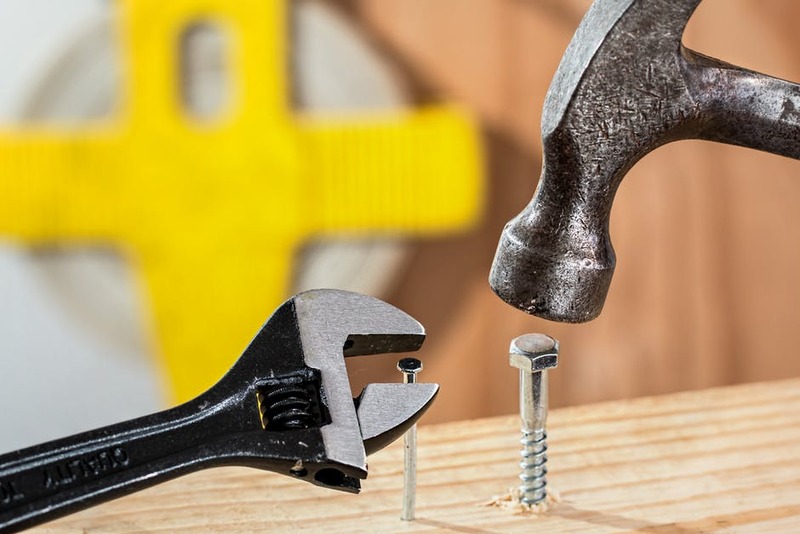 When using fasteners, space them out at intervals of 8-10” with a minimum of six fasteners per plank and don’t place them within 3” of the end of each board. Make sure to use gentle, consistent taps on the pneumatic nailer – if you’re too firm you can knock the rows out of place (and probably kick yourself for it!) – and blind nail them directly above the tongue at a 45-50 degree angle to the face of the plank (the side facing up). 5. Check for Dimples! You may not have set the cleats properly. We don’t mean the dimples on your face. We mean tiny bumps in the floor where . These dimples are not only a cosmetic problem, but they could also eventually cause structural problems in the planks or the finish stability. Sometimes these dimples are hard to spot when standing directly over them so make sure to check your floor by looking at it from an angle, with some glare shining on the surface from a background light or window. If you see dimples it means the cleats are not embedded properly, and that you’re using the wrong type of nail gun, size of cleat, or that your nail gun pressure (PSI setting) is too low. Check that your nail gun is definitely an 18 gauge pneumatic nailer and that it is successfully firing 18 gauge cleats. Inspecting the nailer for any signs of damage (i.e. air leaks, wear marks, holes) that could be affecting its performance. Making sure that the nailer is seated properly and that the operator isn’t leaning it forward when nailing. Increase the PSI setting on the gun. If you’re still struggling to set the nails properly, bear this in mind: thousands of strand woven bamboo floors are nailed down every day around the globe with no problem. You may need to change out your nail gun for a Primatech Q550 ALR. 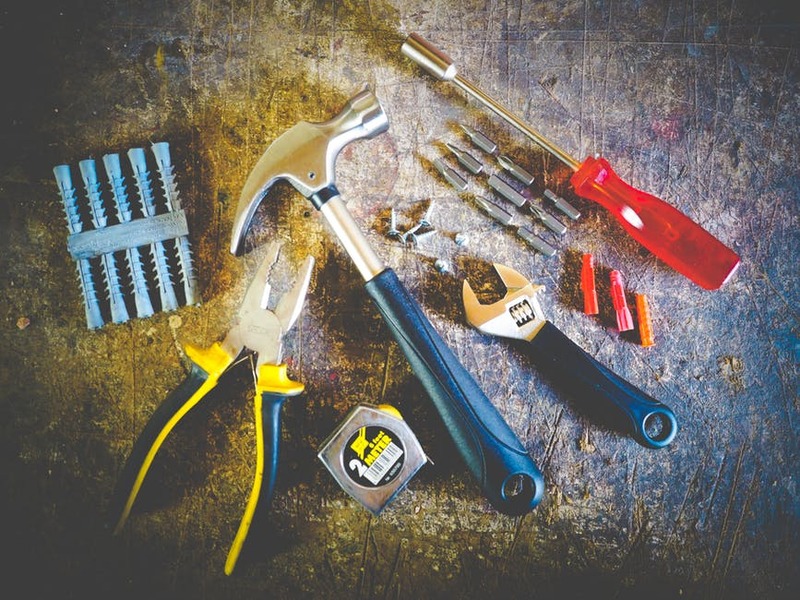 If you switch to another nail gun and still have problems with installation, we recommend you contact a local flooring expert or an installer certified by the National Wood Flooring Association. Once you’re done installing all planks, it’s time to remove the expansion spacers that you used earlier and cover the gaps with base/quarter round moldings (or a mixture of the two). Well done on completing your installation! The first thing you should do is to vacuum the floor to get rid of any dirt/debris (i.e. dust from the nailing), but the second thing you should do is make yourself a well-earned cup of coffee (or something stronger if you’re over 21). Also, make sure to save some off cuts from the floor as this will allow you test future cleaning products without damaging the laid floor. It’s also really useful for testing out new finishes of varnishes to see what they’d look like, without sanding and varnishing your whole room. If you have any larger (or even full size) planks left over, save extras in case you ever need replacement boards. This might be needed because of damage caused by localized flooding (i.e. a burst pipe) or stress (i.e. some rude person dropping a bowling ball on your floor). While your beautiful bamboo floors are incredibly strong – a massive three times harder than hardwood – you still need to make sure that you’re caring for them properly in order to make them last as long as possible. How do I clean my bamboo floor? Bamboo floors are designed to be very low maintenance, which means that cleaning will often just involve a quick sweep or vacuum. For more intense cleaning, you should only ever use . Cleaning with harsh chemicals, or wet mopping or steam cleaning can actually damage the finish, which is supposed to make the floor look nice and protect the floor from water and moisture, and void your warranty. How do I fix scratches on my bamboo floor? Your bamboo floor should stand up to decades of everyday wear and tear, but in certain circumstances, you may find light scratches on your floor. Probably from that time your neighbor insisted on keeping her heels on in your house or when your kids were playing with the dog inside. If these are minor enough, you could try buffing them out with a soft cloth and some appropriate floor cleaner, but if they are deep enough, then you may have to use floor putty, replace the damaged board, or refinish the floor altogether. Now I’d like to hear from you. Have you nailed down a bamboo floor? How did it go? Let me know in the comments. 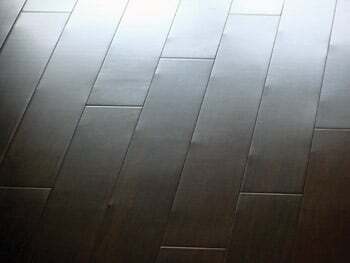 ‹ Dirty Bamboo Floor – Can I Clean It With A Steam Mop?